In 1900 there was an effort to have a Carnegie Library in Richmond; but when it went to the voters it failed. 1916- The Literary and Civic Improvement Club then took on the responsibility of providing reading material for the public and the first library was opened in the basement of the Methodist Church. 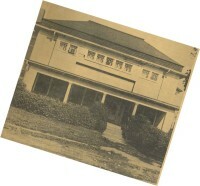 1923- The library was moved to the first floor of the Women’s Club Building. 1946- The Richmond Business and Professional Woman’s Club took upon themselves as a project for public improvement the establishment of a county library. 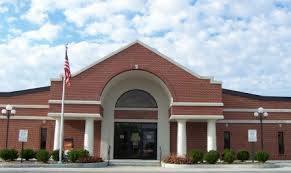 In April county tax payers voted a one mill tax for the establishment of the Ray County Library. The Ray County Court appointed the first Library Board. On July 15th, the County Library staff reported for work. They had no books and no home except for the generosity of the County Surveyor who loaned his vault on the first floor of the courthouse. 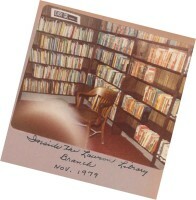 By September 25th, the vault was crowded and the library was moved to the Women’s Club. On November 21st, the library opened for business. 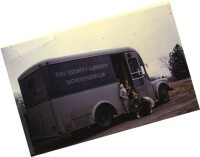 In March the first Bookmobile was purchased. The library moved to a storefront inthe Baber Building. On June 21st, a new building was constructed at 219 S. College, Richmond MO. The basement was completed for a children’s library. 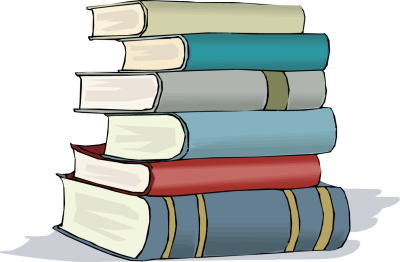 Reassessment brought about a major change for the library with a tax rollback from 10 cents to 7 cents per $100 assessed valuation. 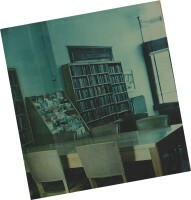 With expenses and books more than tripled since 1946, the library was in need of additional income. 1986- On April 1st, the Ray County Library asked the voters for an increase of 4 cents. The issue failed. 1986- On June 3rd, the Ray County Library officials decided to ask residents again; and then the levy passed by a heavy margin. Through grant funding a library van was purchased to help provide Outreach Services. The library entered the world of automation and everything was computerized. The C&R Grocery Store was purchased by the Ray County Library for $175,000 and over the next two years $1.4 million was spent to completely remodel the facility to house the new library. The total project cost was $1.4 million and paid for with cash reserve and donations of $840,000 and a USDA 30 year Rural Development loan of $560,000. These efforts were done by the INC Board, Ray County Library Board and citizens of our community. Due to the additional loan payments made over the previous years under the Director, Steve Meyer, the final loan payment was 21 years ahead of the scheduled payoff date, saving the Ray County taxpayers $363,000 in interest. For more pictures and information on the Ray County Library history you can visit the library or view this powerpoint presentation that has some additional pictures.